Jennifer Bowman was born and raised in the Bay Area. She earned her B.A. at UC Santa Cruz (yay slugs) in American Studies and Art, and her MLIS at San Jose State. Previously, she worked in adult education – primarily GED and high school English – as an elementary school teaching assistant. She also works in an elementary school library in the East Bay. She is happy to involved with the rebirth of the Willow Creek library. Maya, a local girl, grew up roller skating behind her father’s office on what is now the kindergarten yard. Her career in education began almost 20 years ago as a doctoral student in Educational Psychology at UCLA. After five years of educational research and training teachers, she decided to get her teaching credential and go into the classroom herself. Maya has taught kindergarten through 8th grade, worked as an educational therapist, high school instructional coordinator, teacher coach and curriculum and program developer. As a literacy specialist, Maya feels lucky to spend her days supporting Willow Creek’s amazing staff and geeking out on all things literary. When not curled up with a good book, you can find Maya writing novels for teens, cycling through West Marin, or exploring the outdoors with her husband, two sons and Australian Shepherd. Aracely Gonzalez grew up watching sunsets over the furrows of strawberry fields in the Salinas Valley. The youngest daughter of four siblings, she quickly learned to value the wisdom that came before her. Her family, surroundings, and school nurtured her curious and creative instincts and founded her commitment to education. Her senior year in high school, she was awarded the Chancellor’s Scholarship, and she moved to the Bay Area to attend UC Berkeley, where she earned a Bachelor of Arts degree in English Literature with a minor in Creative Writing. While working at Willow Creek Academy in 2003 as a teaching assistant, Aracely decided to return to graduate school at San Francisco State University, where she earned a Masters Degree in English Literature and Creative Writing (Fiction). Her passion for both creative writing and teaching intersected when she was awarded a three-year writing residency from the SF Arts Commission as a WritersCorps teaching artist at public schools and libraries. In 2012, she returned to Willow Creek Academy as a teacher’s assistant and enrolled at San Francisco State University to pursue her Multiple Subject Teaching Credential. Aracely’s experience as an educator has shown her that project based learning, real-life field exploration, community involvement, and arts integration have the potential to engage students in curriculum and inspire meaningful academic discovery. She hopes to foster a community in her classroom that reflects the wonders of her own childhood, where students have a peaceful, friendly, and respectful environment in which they can mindfully explore, learn, and create. She encourages self-reflection and critical thinking skills and brings her passion for reading and creative writing into her classroom. She also shares her love of science and the arts. She holds high academic expectations tempered by the belief that mistakes are part of the learning process and serve as opportunities for courage, resilience, and growth. Aracely respects and celebrates the diversity of learners and their backgrounds in her classroom and tries to honor their individuality by observing and adapting to their unique needs and inquiries. Aracely is excited to teach at Willow Creek Academy, where the beautiful campus is abuzz with a diverse, talented, and caring community! Jennifer is excited to be supporting and enriching the math program at Willow Creek Academy! 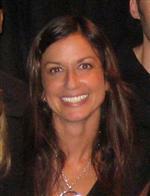 Before relocating to San Francisco in July of 2015, Jennifer spent 13 years teaching in Maryland in grades 1, 2, and 3 and honed her skills in developing and maintaining a learner-centered mathematics environment focusing on creativity, critical thinking, communication, and collaboration. As a part-time consultant with the Baltimore County Public Schools Department of Mathematics, she gained experience with curriculum development, professional development, textbook selection, digital resource integration, and development of best practices in the elementary math classroom. She currently holds a Bachelor’s degree in Elementary Education, a Master’s degree in Mathematics Curriculum & Instruction, and certifications in grades 1-12 mathematics. After being named the 2014 Maryland State Finalist for the Presidential Awards for Excellence in Mathematics Teaching, Jennifer was excited to be involved in video project about the Common Core State Standards for Mathematics produced by the National Council of Teachers of Mathematics. She believes that developing a child's love of math at an early age is the key to creating a society of adults who no longer say, “I’ve never been good at math.” Collaborating with talented teachers over the years taught her that forward-thinking teachers ask great questions, responsive teachers never stop learning, memorable teachers connect and build relationships, and innovative teachers embrace and catalyze change. She strives to embody those qualities to help both teachers and students meet with success! Outside of the classroom you’ll find Jennifer catching live music, playing games, cooking, sailing, camping, hiking, playing tennis, and traveling with her husband Josh. Mr. Phil Logan, better known by students as Mr. Philly LoLo, is a native of Vallejo, California. He has been working with students in the Sausalito Marin City School District since 2011. Mr. Phil is a firm believer in the development of students as whole people, starting from their performance in classroom and moving into the way they communicate socially. His love for child education is rivaled only by his love of music. He feels the perfect bridge between the two is his new opportunity to serve as the middle school music teacher at WCA, alongside his current role as a Student Support Specialist. Mr. Phil has worked as a professional musician and a mentor with the Hannah Project Freedom School for several years. He holds a Bachelor of Arts degree in English literature from Oral Roberts University. Say hello to Mr. Phil! Emilie Rohrbach is so excited to be teaching music at Willow Creek Academy! Emilie graduated from Boston College with a degree in Theater and a minor in Faith, Peace, and Justice Studies. She holds an MFA in creative writing, nonfiction from Pacific University. Emilie is a certified Orff Schulwerk music and movement teacher, a certified Music Together teacher, and has had extensive training with the Oregon Shakespeare Festival's director training program. Before coming to Willow Creek in 2012, Emilie spent four years teaching music and movement at Ring Mountain Day School and nine years teaching at Children's Day School in San Francisco where she founded the lower school music program and the middle school theater department. Emilie teaches piano, flute, guitar, ukulele, and voice and also works as a freelance writer, most recently as the music blogger for Marin Magazine. She enjoys teaching in developing countries over the summer, most recently at the exceptional school Shanti Bhavan in India. David Singleton taught tennis in upstate New York/Western Massachusetts after attending U.C. Berkeley, and spent time as a touring tournament player. With a group of close friends, he also started a non-profit corporation in the early nineties, which focused primarily on providing, art, music, vocational, and educational resources to poor and at-risk young people. By tapping into the wealth of locally available talent, the group held many events and fund raisers, and used the proceeds to fund projects and activities within the communities of Oakland, San Francisco, and Berkeley. During that time David also spent two days a week volunteer tutoring young students in the Hunters Point neighborhood of San Francisco. After a brief stint living in Chicago, David returned and settled in Berkeley. He became a member of a collective that owned two bicycle shops and, within a year, he was a fully sponsored mountain bike racer. A few years later, David began working for the YMCA of Marin. As a campus counselor & after school program coordinator for high risk, and drug/alcohol addicted teens, David enjoyed providing much needed services to students of Marin City and the Canal area of San Rafael. After two years, David was offered the opportunity to teach tennis at the Presidio in San Francisco, and to teach Physical Education part time to budget-strapped schools ... and that is how he landed here at Willow Creek Academy. During the same year, he also coached the Marin Catholic Men's Varsity Tennis Team. David emphasizes learning, hard work, big fun, inclusiveness, equality, and camaraderie amongst his students. David's primary concerns are educating people about nutrition, fitness, early-onset child diabetes, childhood obesity, and improved scholastic performance through physical activity. He also enjoys nurturing previously undiscovered ability, and the awakening of self-confidence in young people. Lynnette Egenlauf is a Marin City Native. She graduated from Bayside Martin Luther King Jr Academy and went on to attend Tamalpais High School in Mill Valley. After graduating from Tam High School she attended Alabama State University for 3 years. She returned back home to Marin and received her AA from College of Marin in Social and Behavior Science. While at College of Marin she played both Basketball and Softball. During her 2nd year she held the highest average in 3pt shots for the BVC conference. She is currently attending California State University East Bay where she will receive her BA in Kinesiology. Lynnette has the utmost passion for teaching children of all ages and has given this passion back to her community. She has coached Softball and Basketball for the past 10 years. Currently, she coaches basketball for Marin Catholic High School, where she has been for the past 7 years, and CYO Star of the Sea. Lastly, she has a Non-profit organization called Work Hard Relax Later (W.H.R.L). Where she encourages Each player to be a student FIRST, athlete SECOND! By teaching children in the classroom and on the court she encourages them to work hard, stay humble, & dream big because she firmly believes a goal should scare you a little but excite you a lot!